I have to share this special event information with all of you. 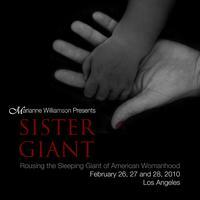 Marianne Williamson, who is a wonderful, passionate, change maker in this world, will be hosting a seminar called Sister Giant on February 26, 27 and 28, 2010 at the Sheraton Hotel in Los Angeles. Those of you who receive Connection Group quarterly calendars may notice all of the quotes on the 2010 calendars are by Marianne. 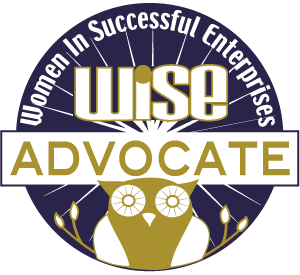 (Of course all you have received is the first quarter…so now you have even more to look forward to…) She is an inspiring woman and this effort is just another example of how she has spent her life empowering women. Below is an excerpt of her explanation of the seminar. If you can not make it to the seminar , Marianne is planning to do more work on this subject so please visit her Web site and join the email list to be a part of something larger than yourself. Briefly, the information is not about the power women don’t have – but the power we are not using. This seminar/conference speaks to the role of women at this pivotal moment in history. It’s a critically important time to transition from disastrous probabilities to fantastic possibilities, and women can lead the way. If you are a woman who feels a prompting in your heart that goes something like this: “Okay, it’s time. I might not be perfect, but I’m good enough. And I’m ready,” then this invitation is for you. Learn more here and sign up for Marianne’s mailing list. Hey! I just wanted to let you know that I have created a fan site for the Tuesday Marianne Williamson seminars at the Regent Showcase Theatre. It’s a place for us to (hopefully) discuss the night’s theme and apply it to our lives. Thought you might like to know!